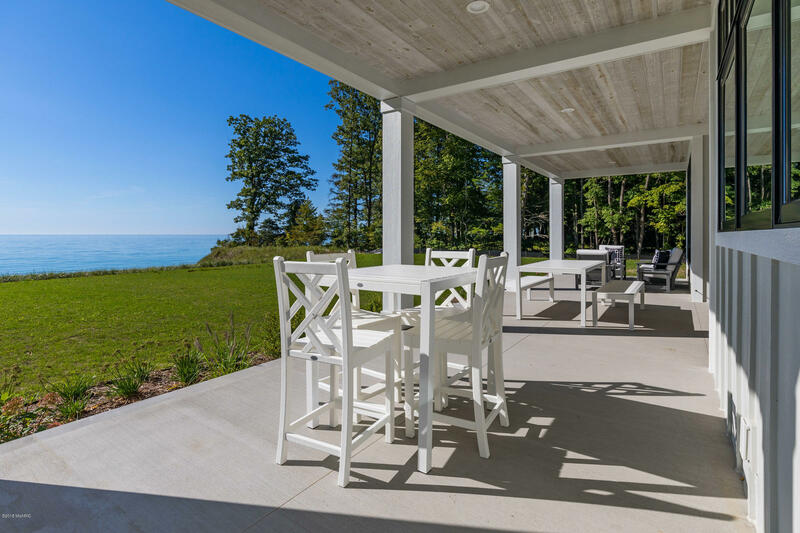 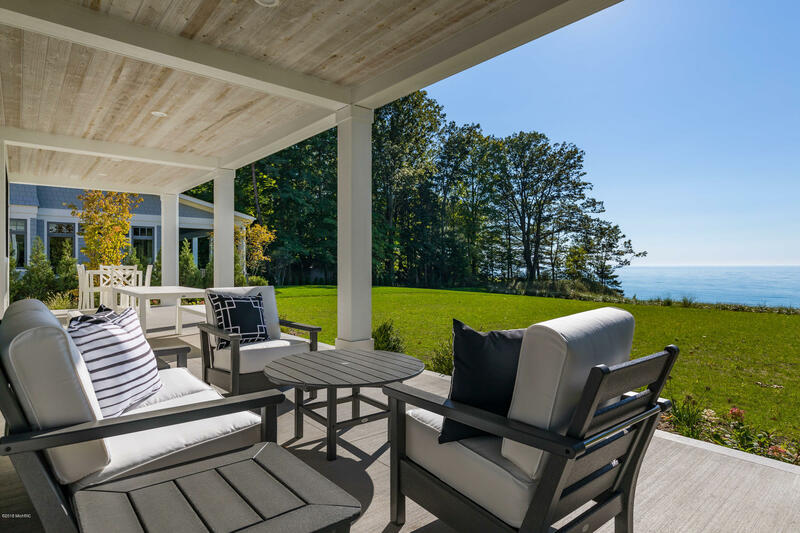 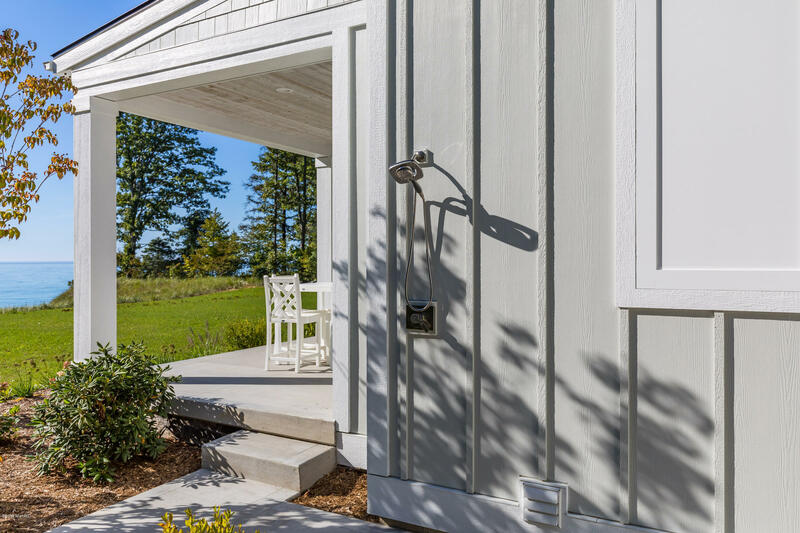 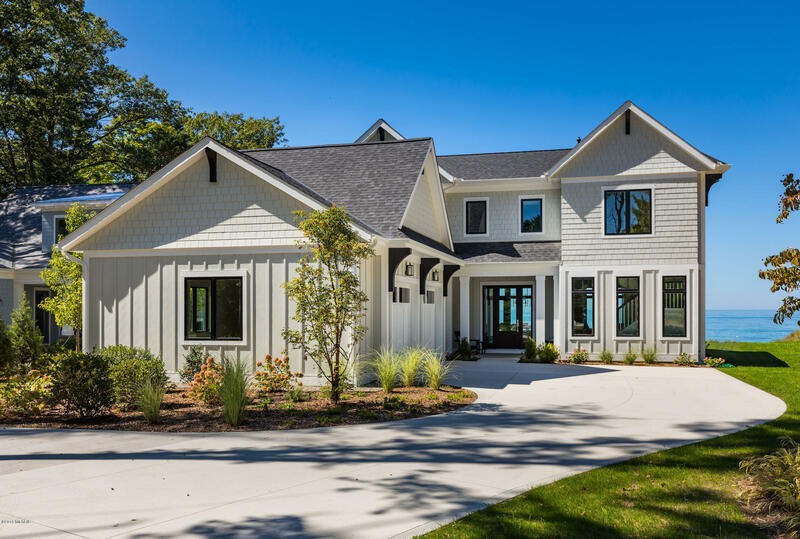 Residing on the shores of Lake Michigan, this custom built coastal retreat is exceptionally true to its lakefront character with lake lifestyle radiating throughout. 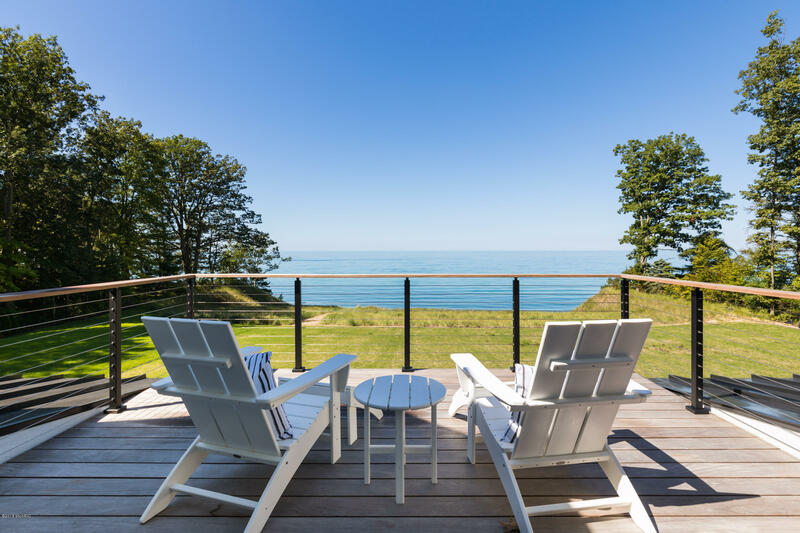 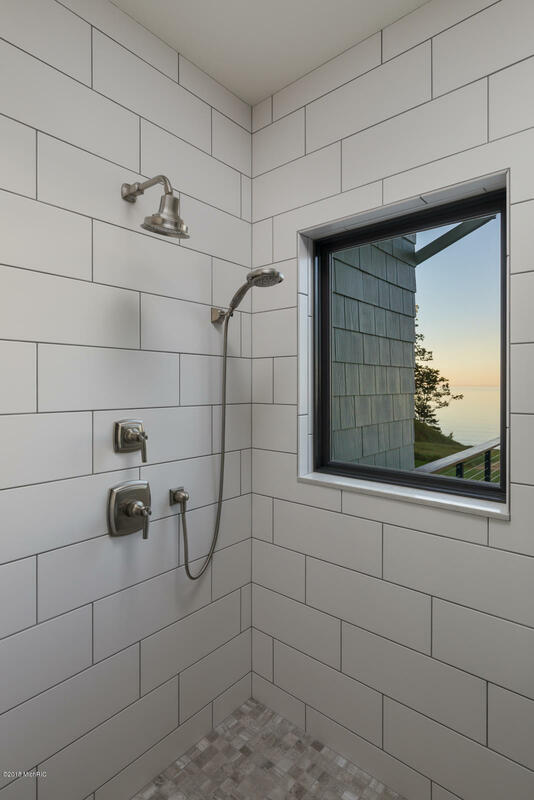 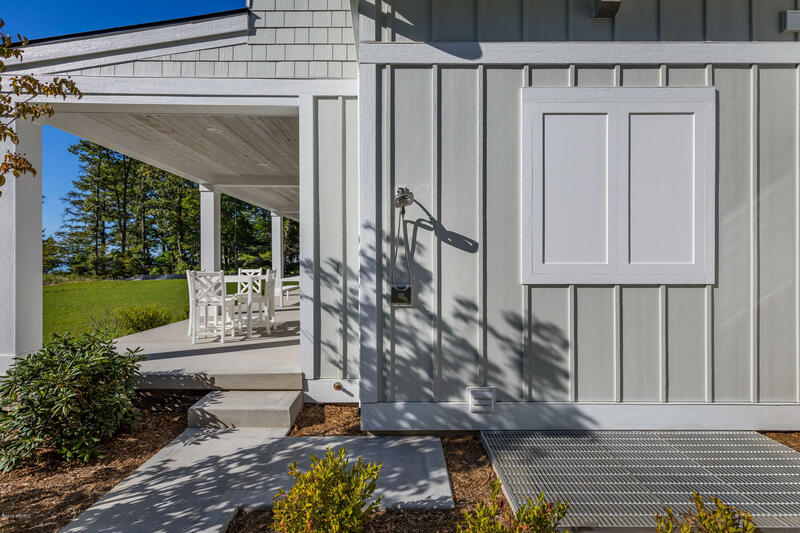 With direct access to private Lake Michigan frontage, this beach house is not lacking in options. 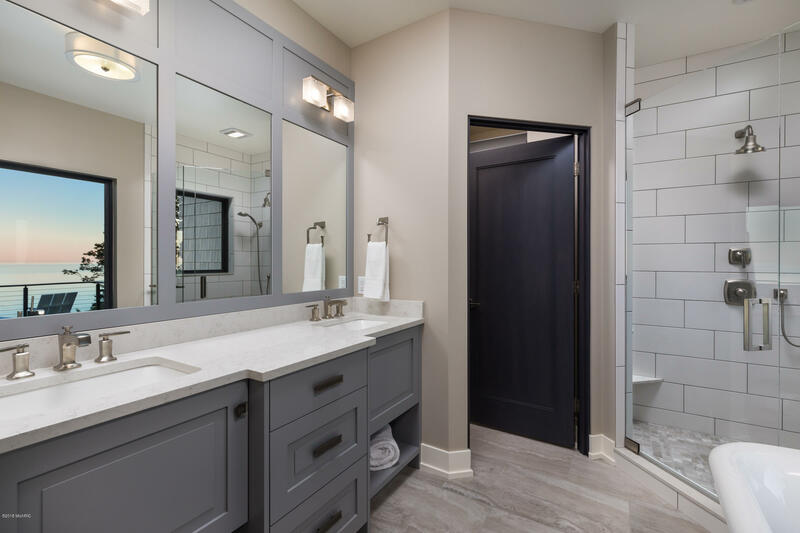 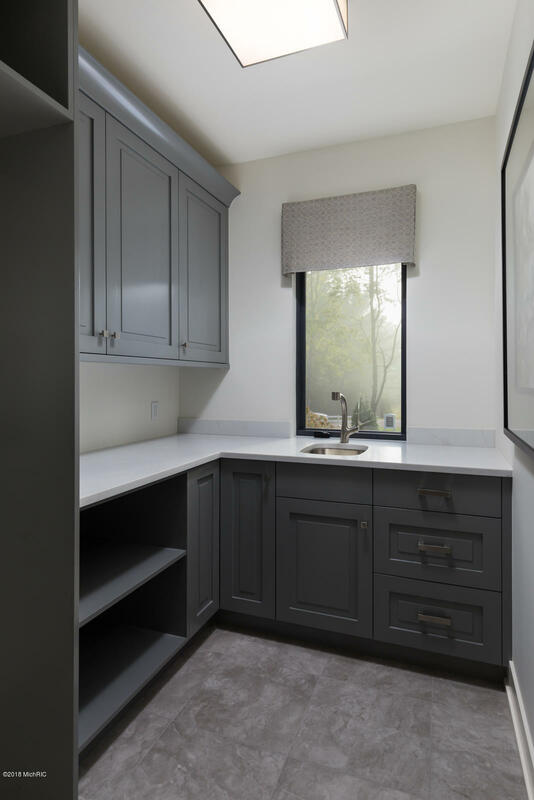 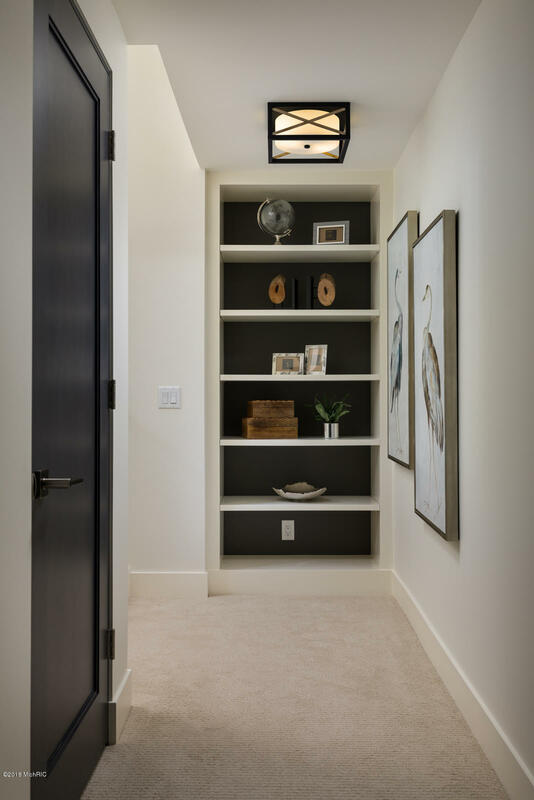 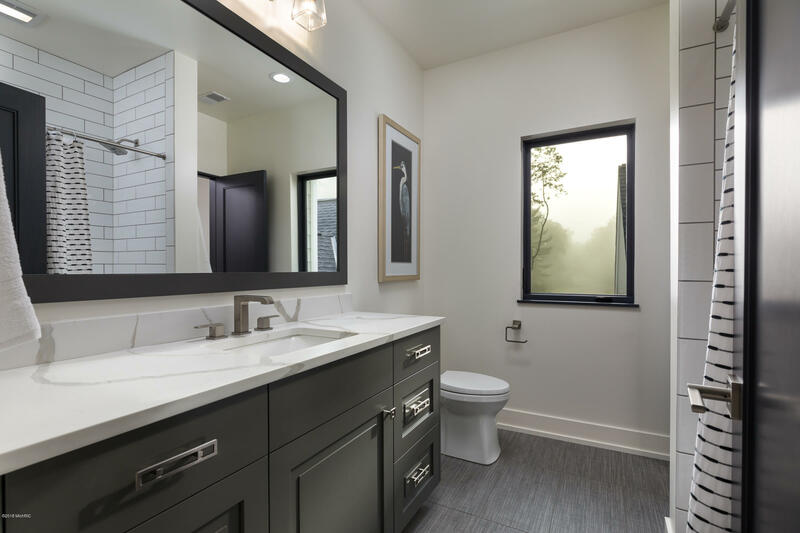 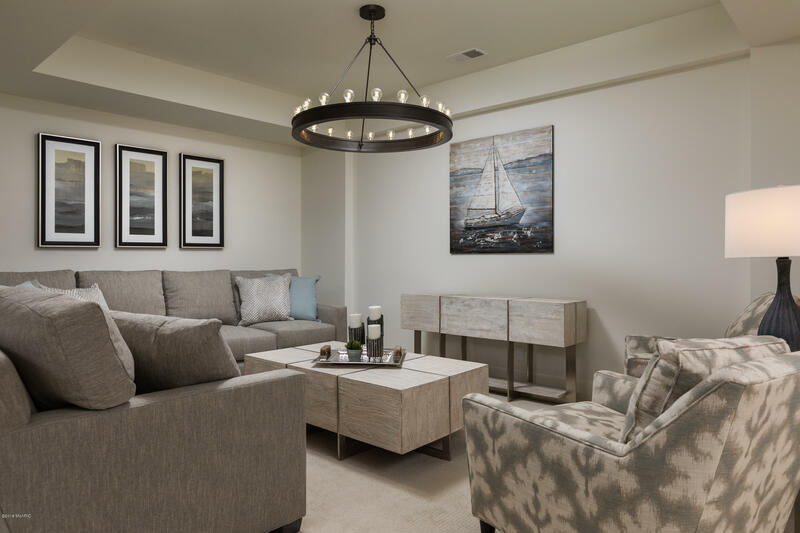 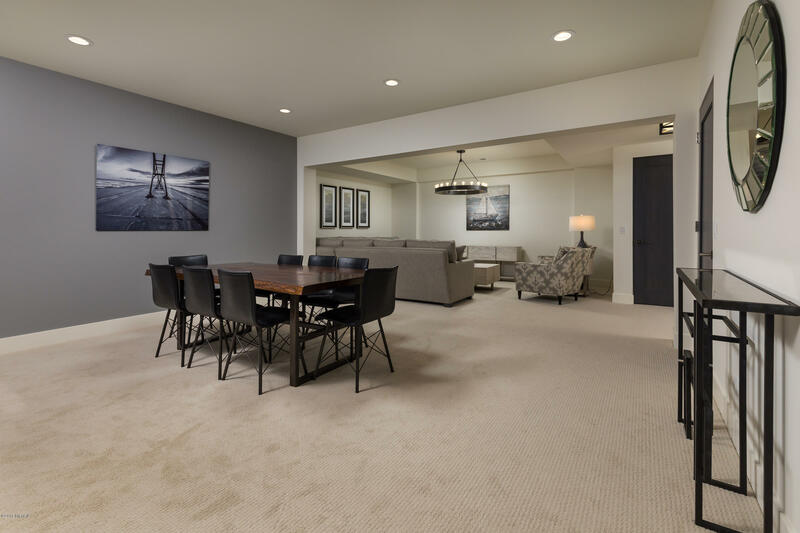 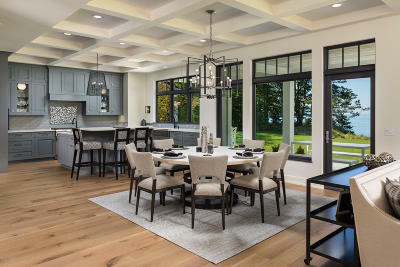 The main level makes entertaining a breeze with a state-of-the-art kitchen, dining, hearth room and living room, while also opening up onto the covered patio, the grill ready for an afternoon bbq. 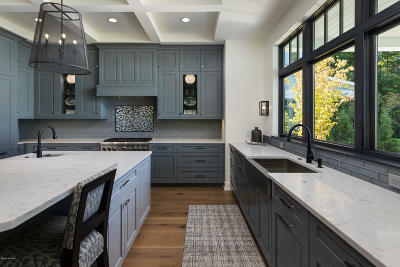 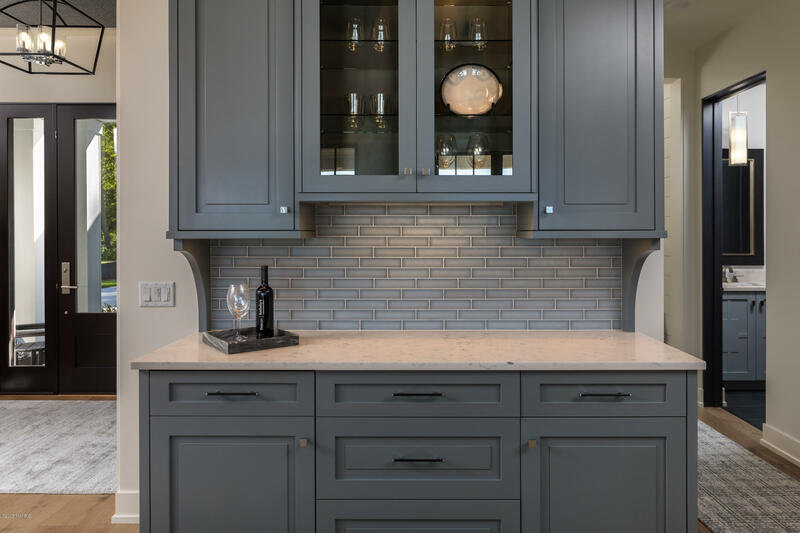 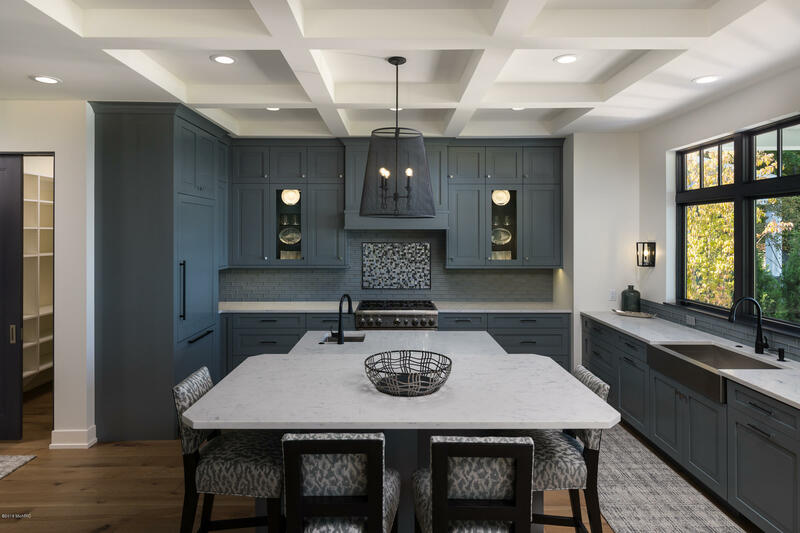 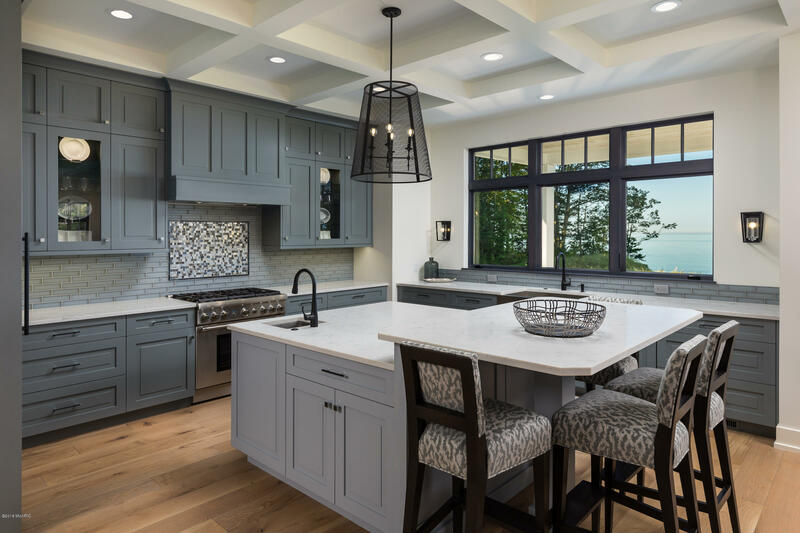 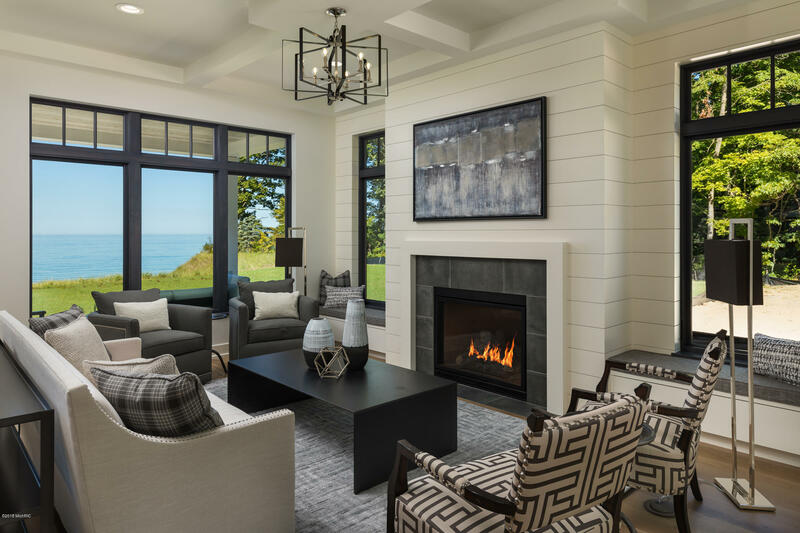 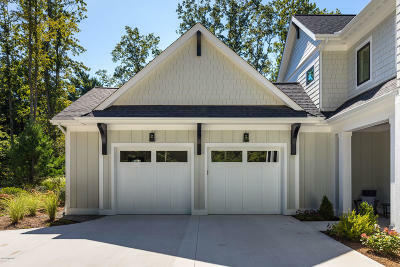 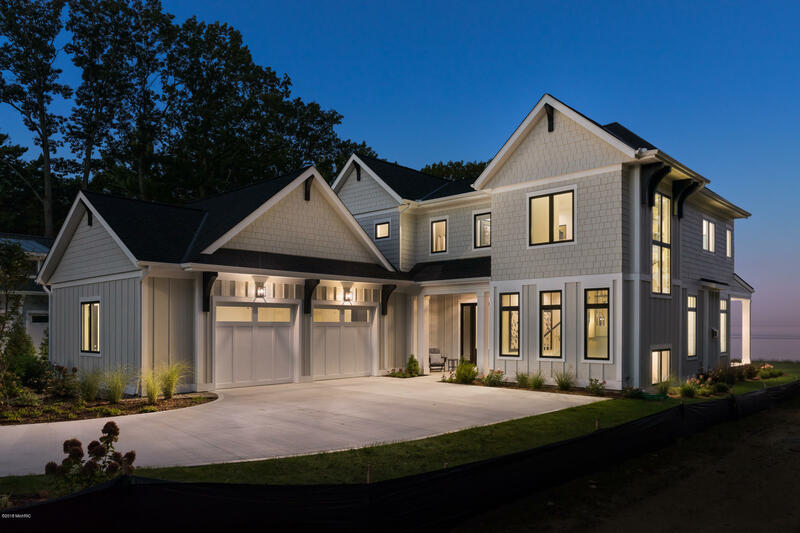 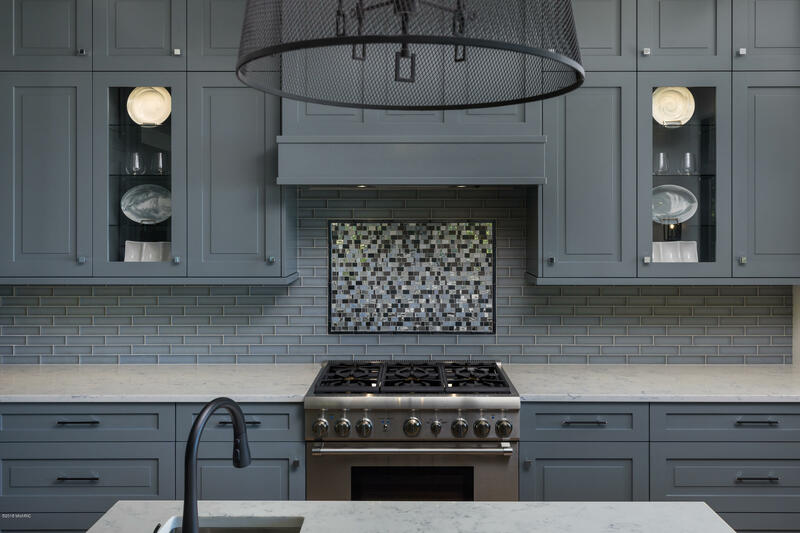 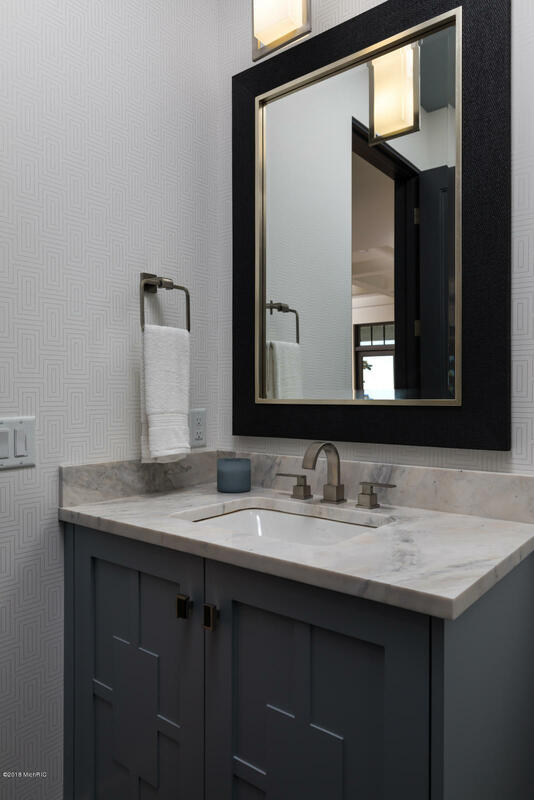 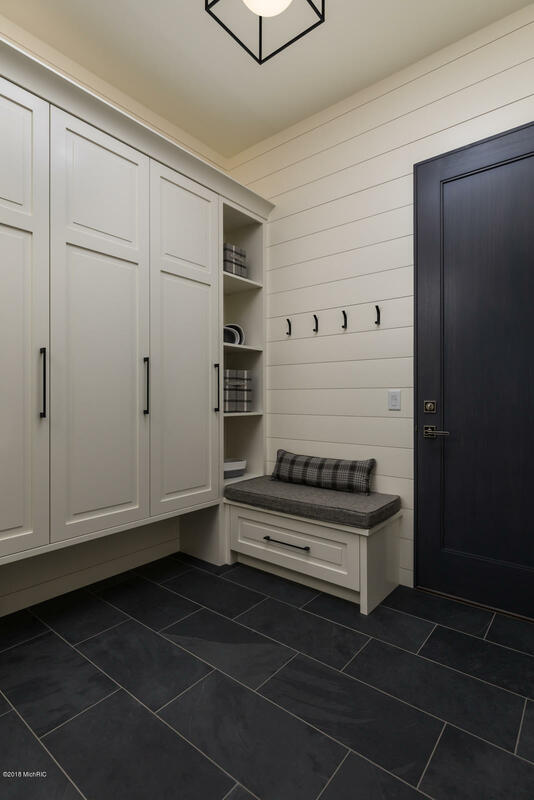 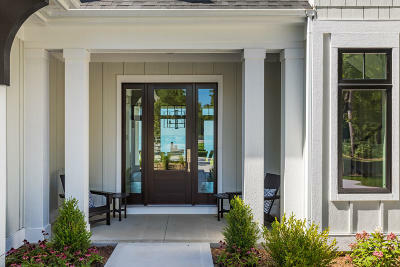 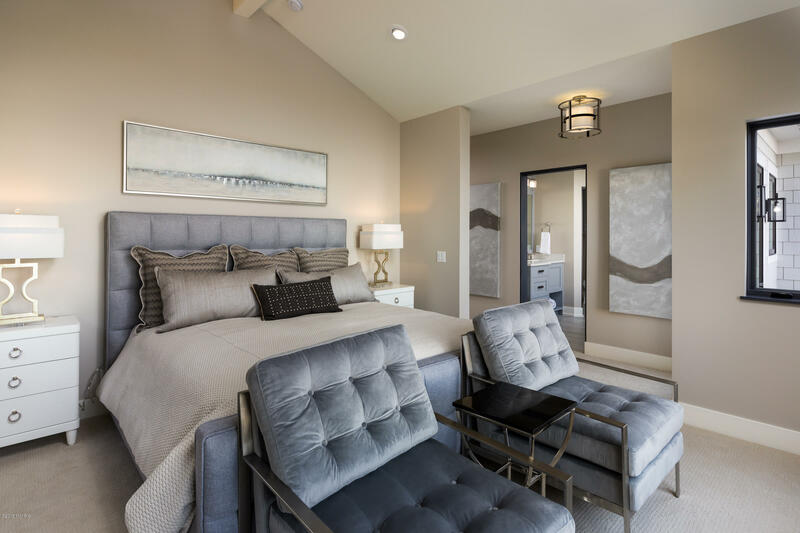 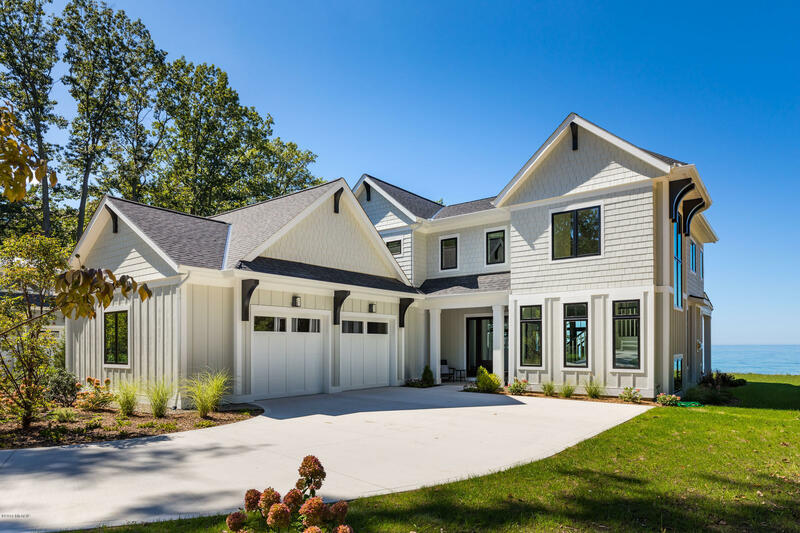 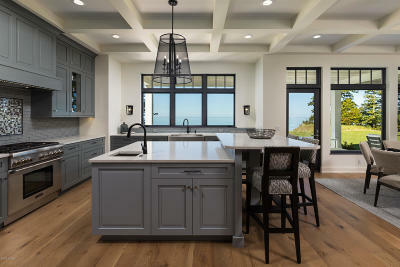 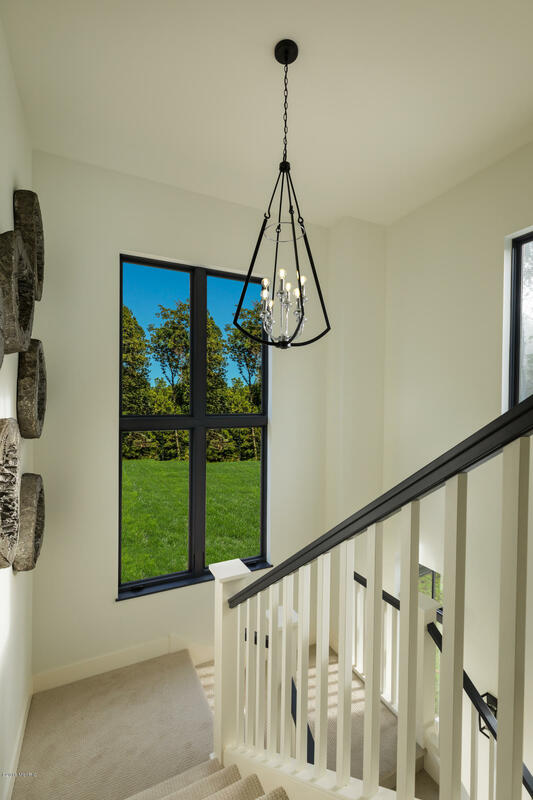 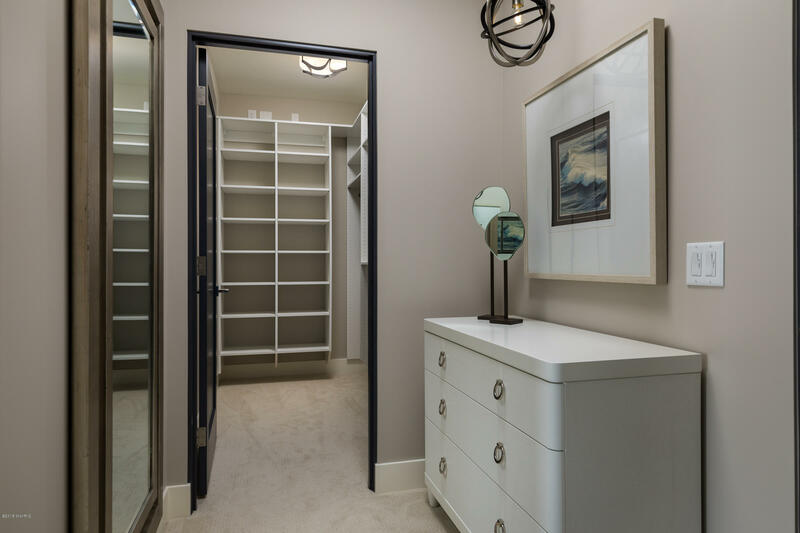 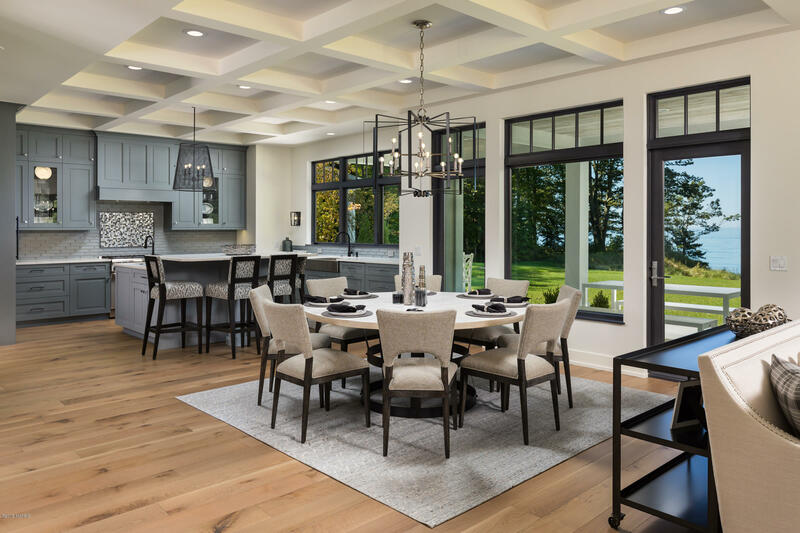 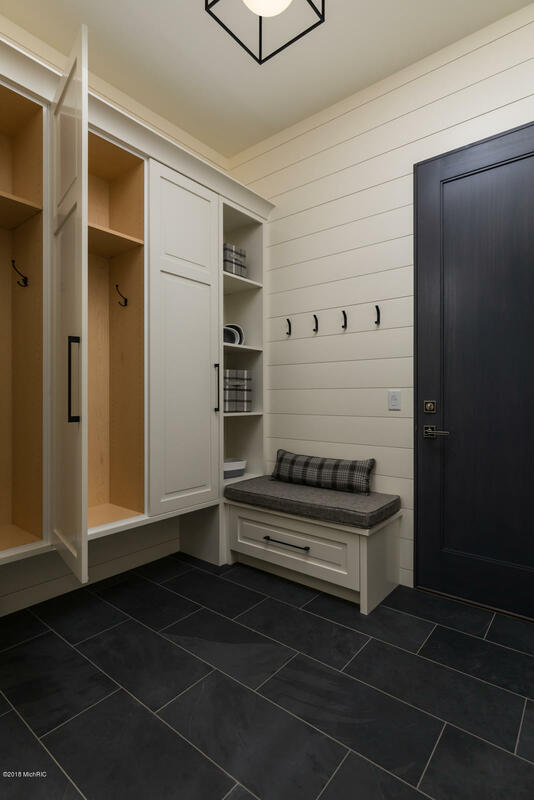 The impressive trim details, includinginlaid ceilings and classic built-ins, complement the refreshing coastal flair and underscores the meticulous construction of Mike Schaap Builders. 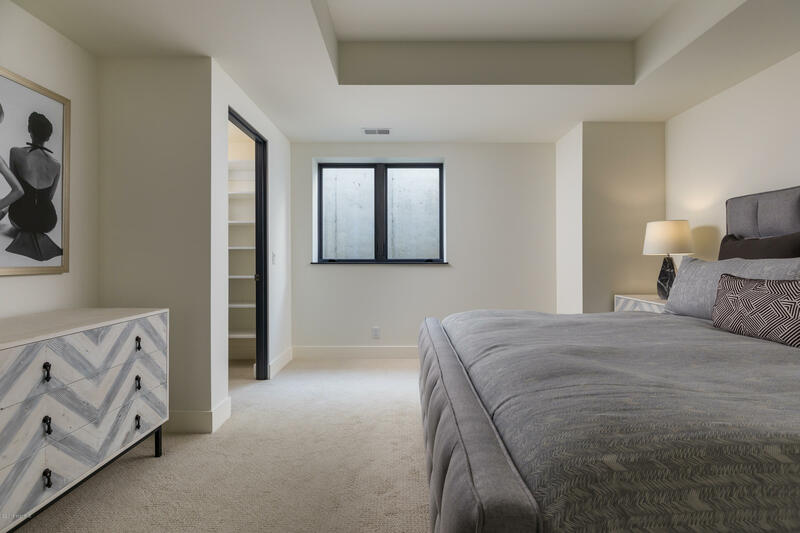 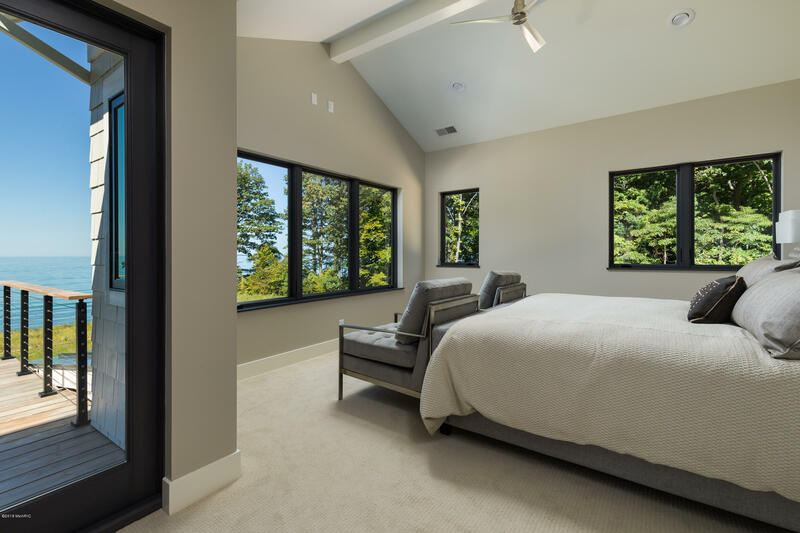 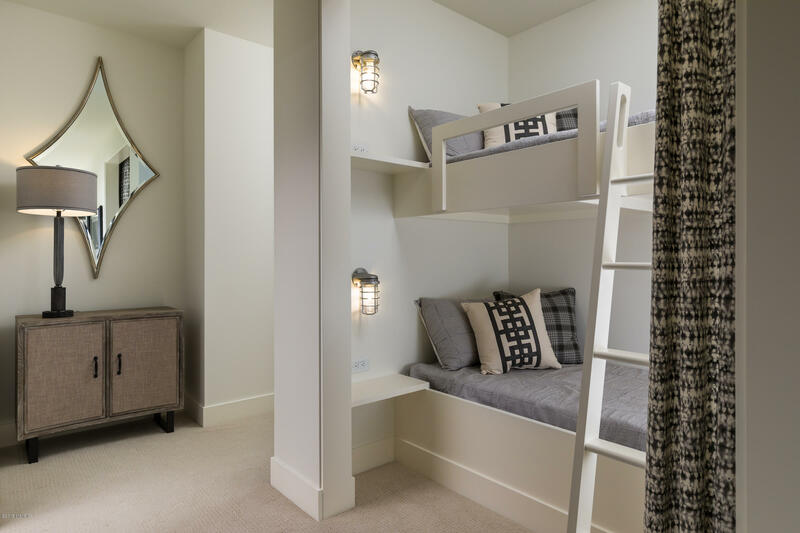 Reserved for rest and relaxation, the upper level provides the ultimate privacy for both family and guests. 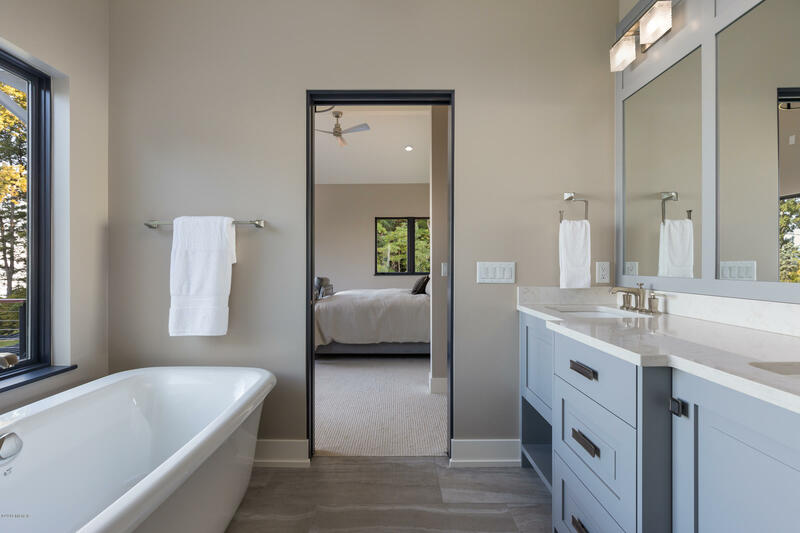 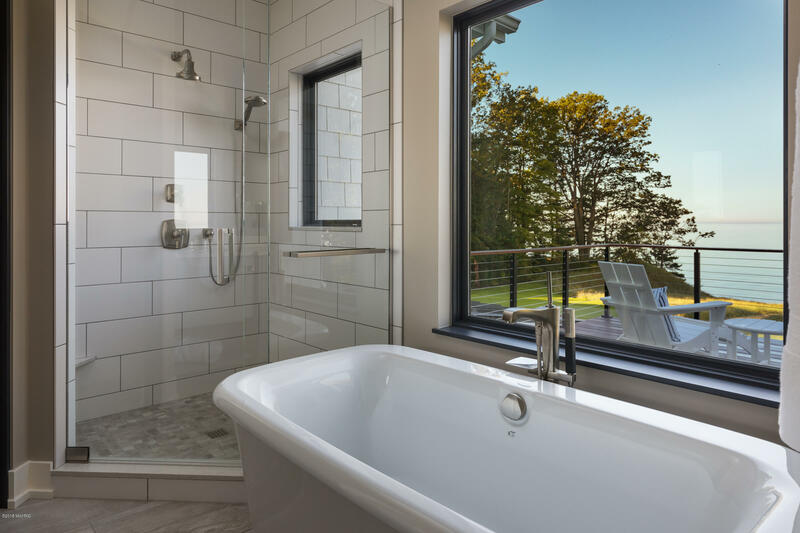 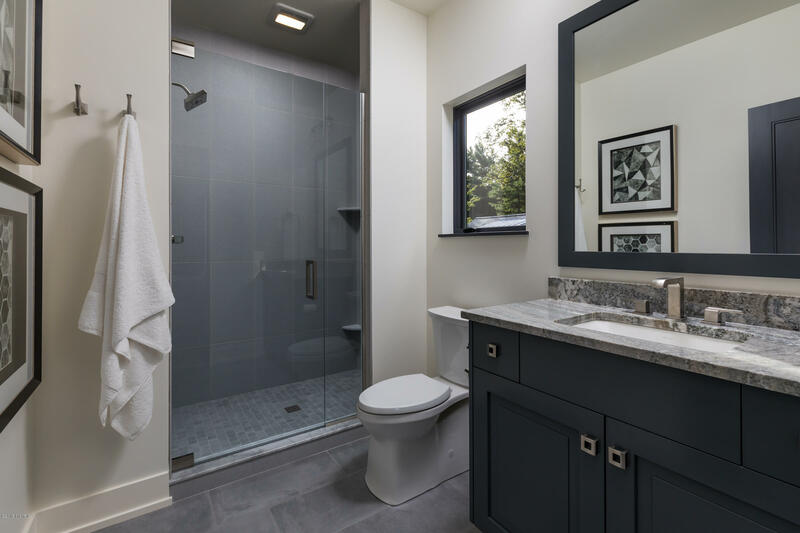 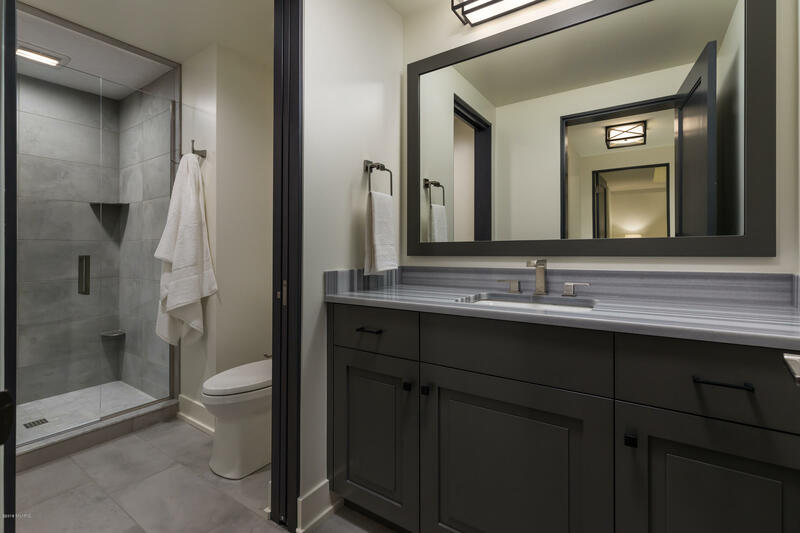 Take refuge in the master retreat with a luxury bath ensuite. 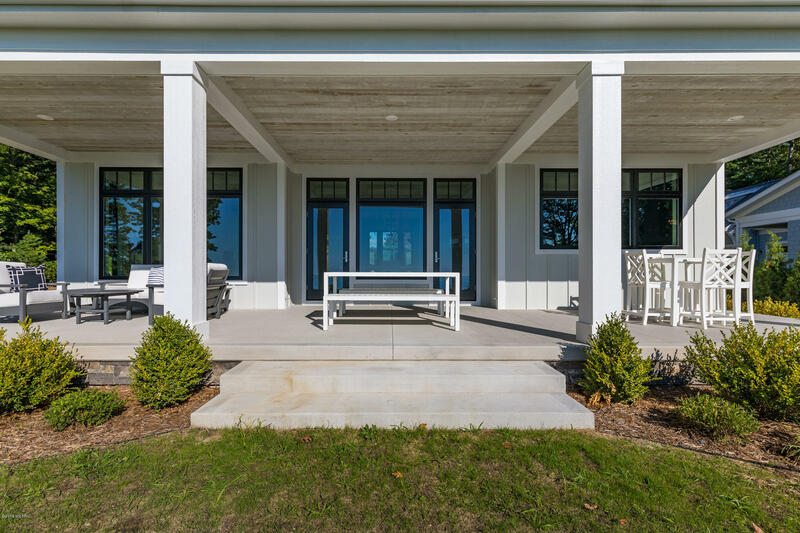 Awake to the calming sound of the waves or lounge on the deck overlooking the shimmering waters providing a picturesque backdrop. 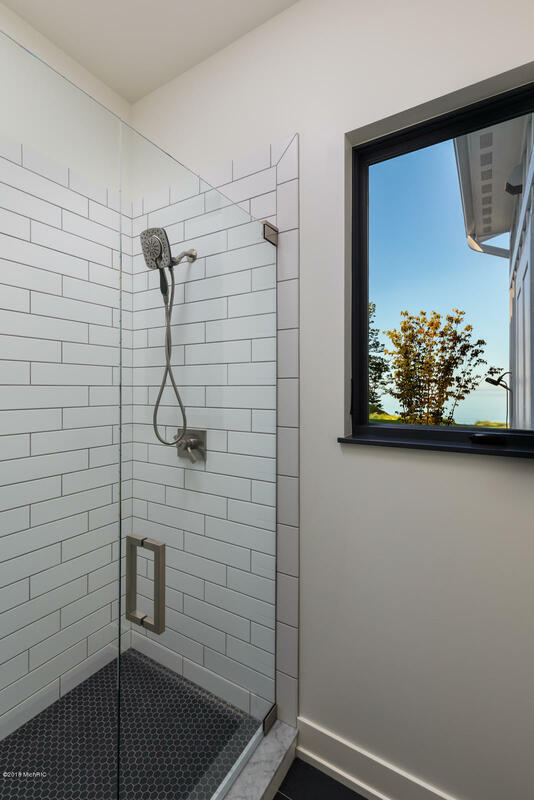 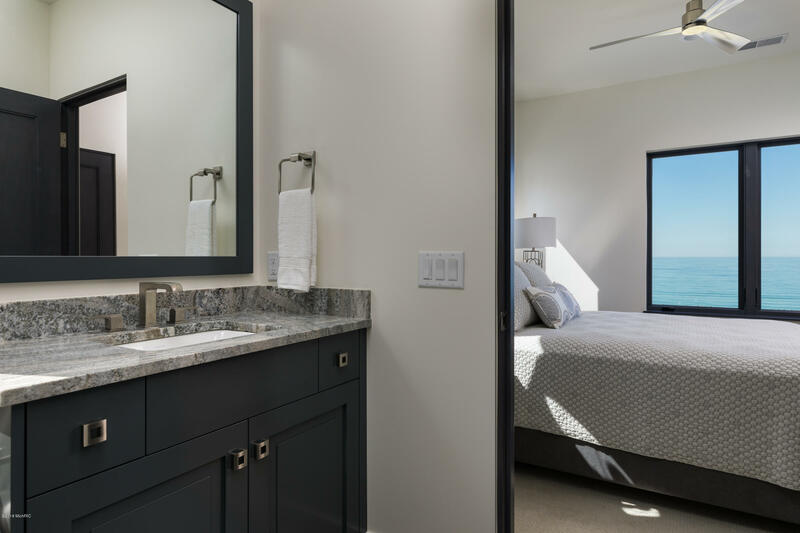 Waterfront amenities abound, including beach bathroom and outdoor shower to keep sand at bay. 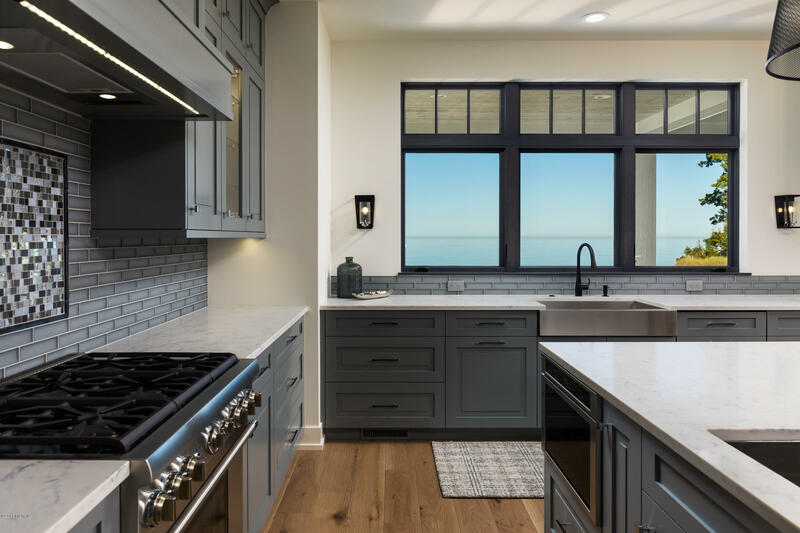 Spend all your days on the shore of Lake Michigan or take a short bike ride into downtown South Haven, a hub of fine dining, shops and more. 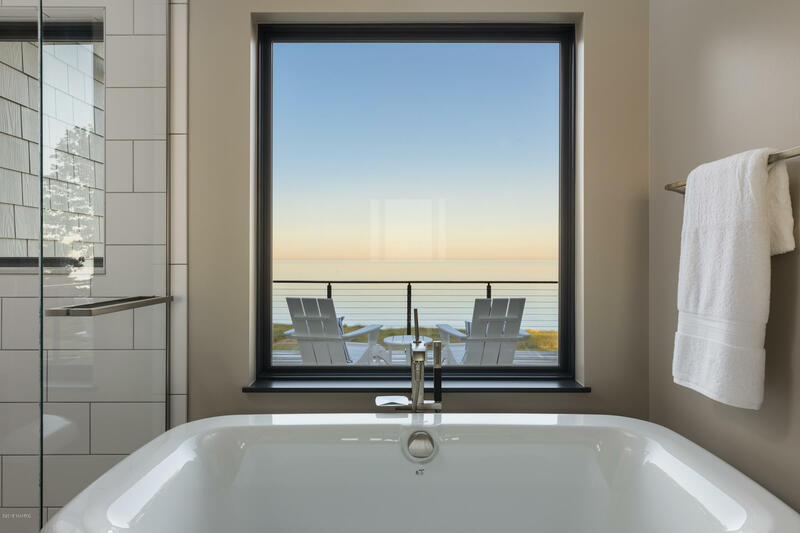 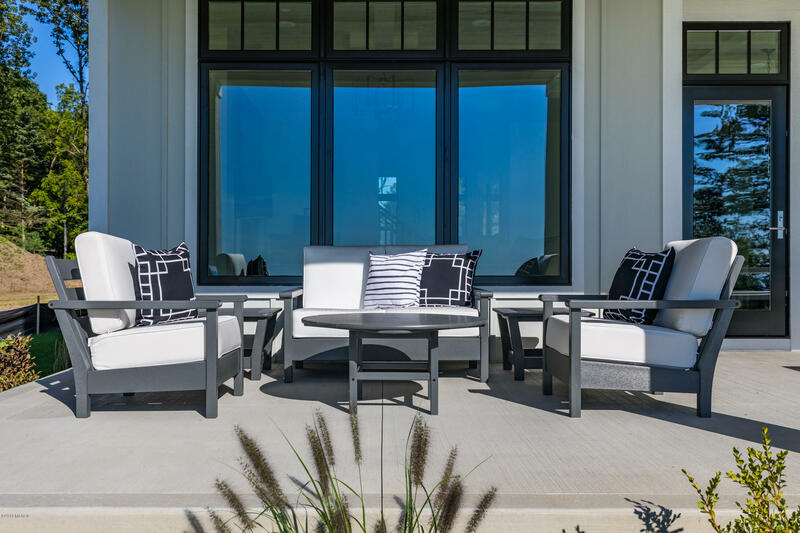 From morning until dusk, your lakefront residence will house your Lake Michigan memories for years to come.